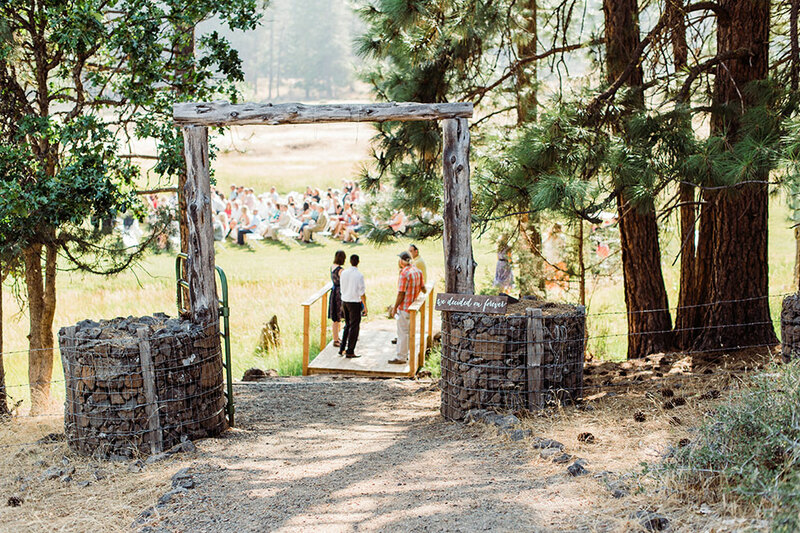 Wrapped up in nature is perhaps one of the more serene and lovely places to host an affair. 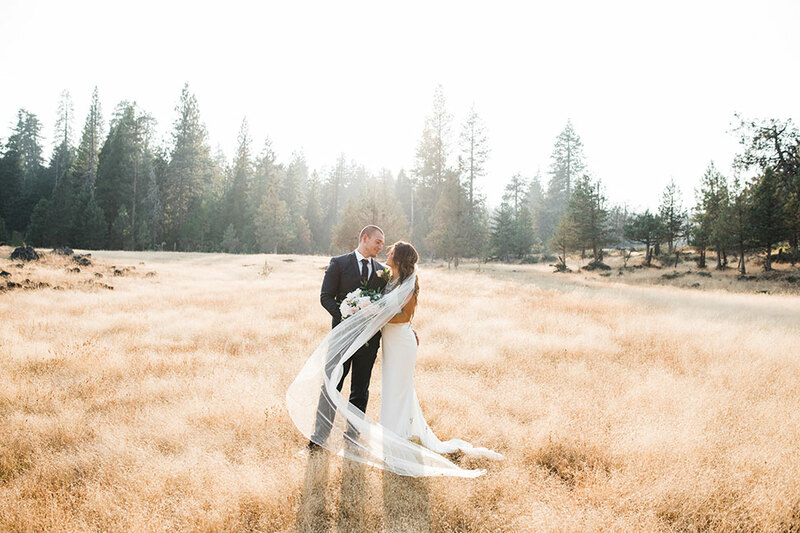 Through the natural landscape, with soft breezes blowing, there is a certain allure that is hard to beat. 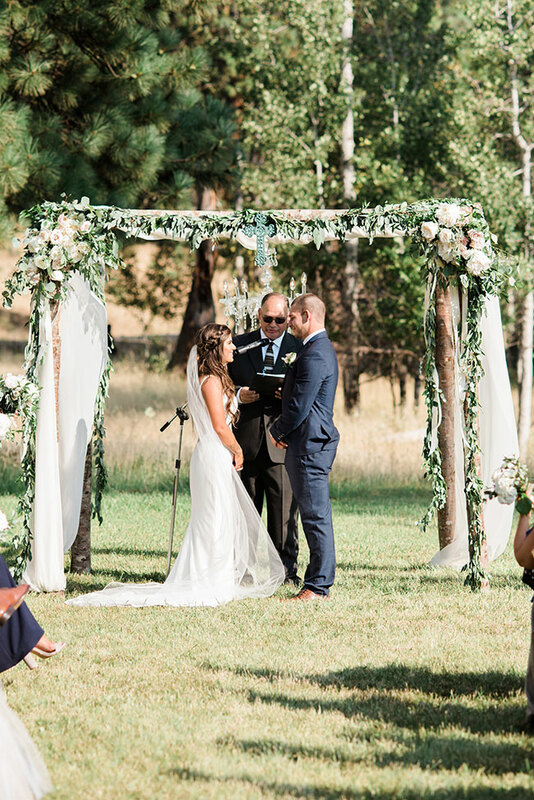 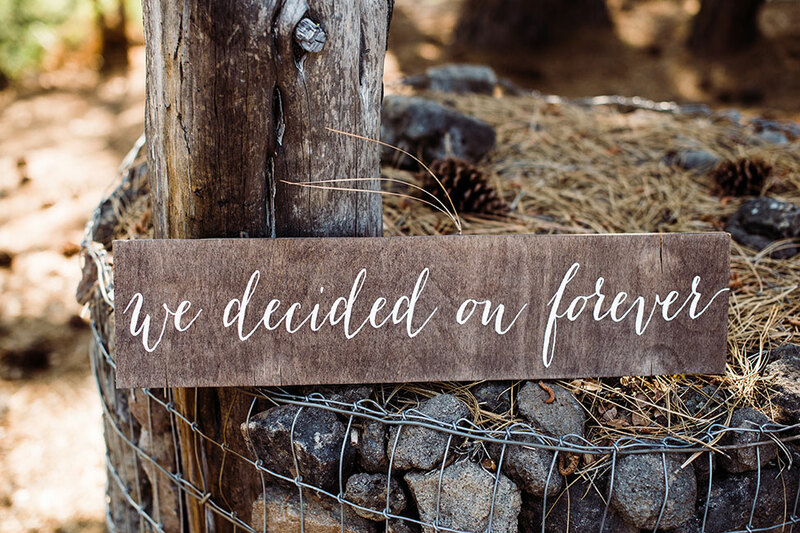 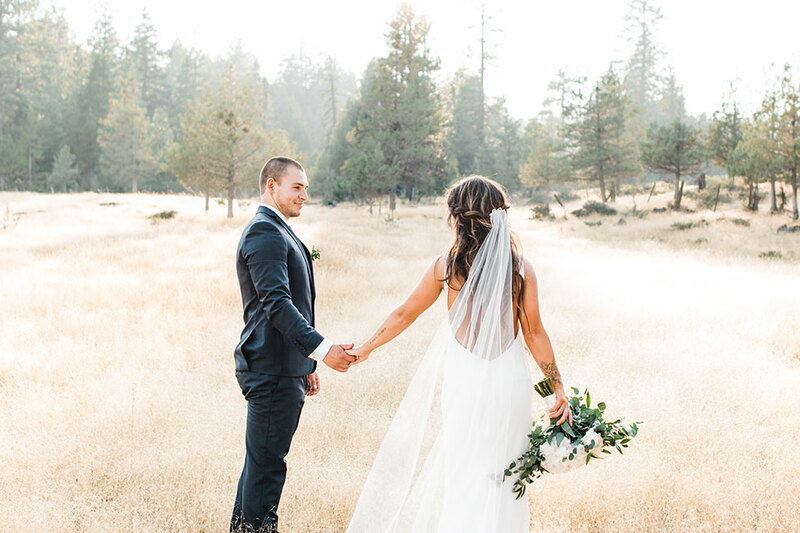 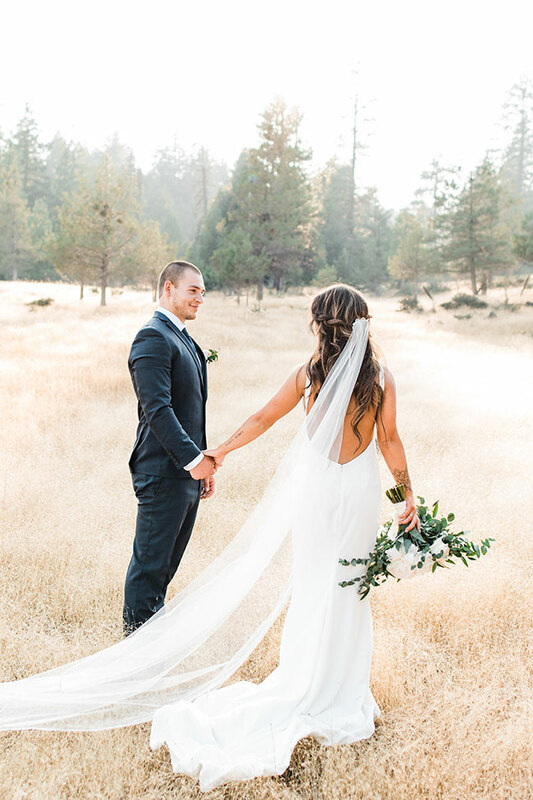 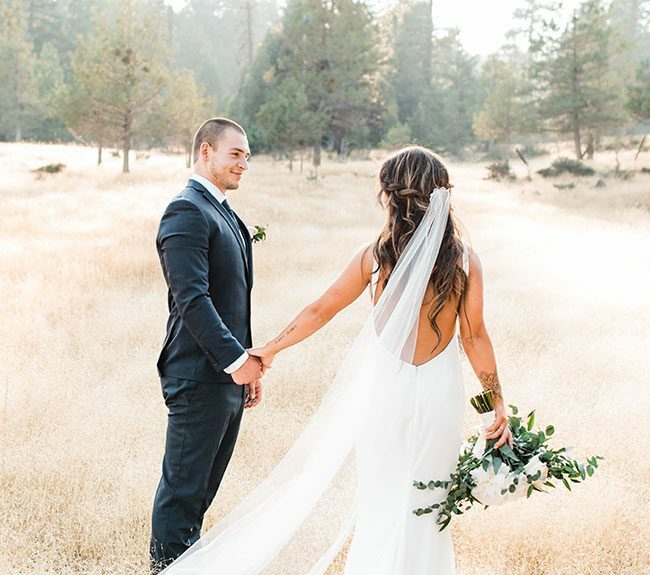 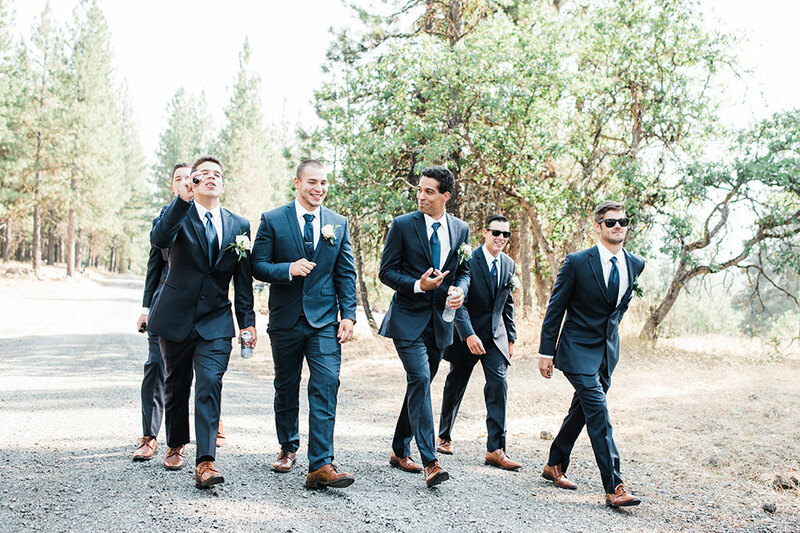 When it comes to a ranch wedding, a vast locale like the New Frontier Ranch is something that Bre and Adam knew would make their day. 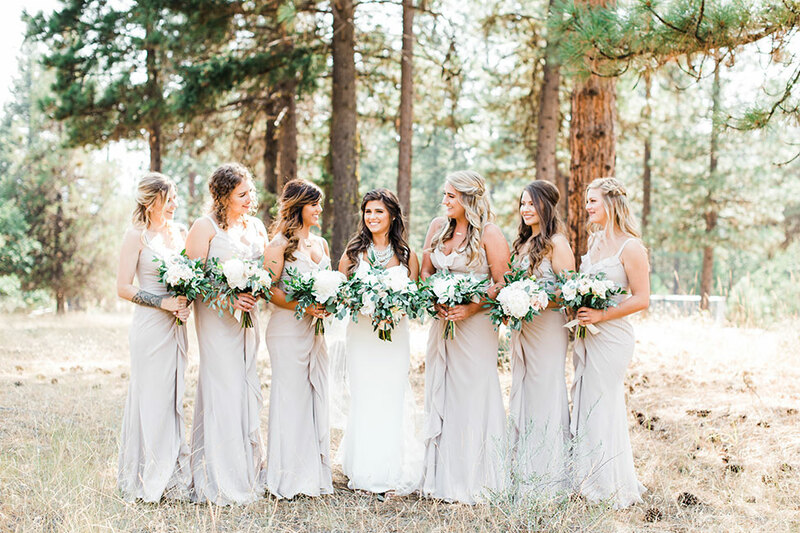 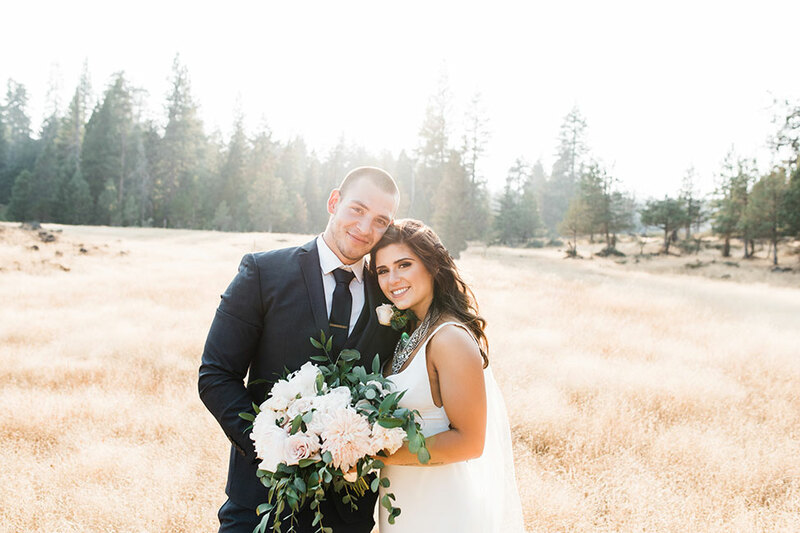 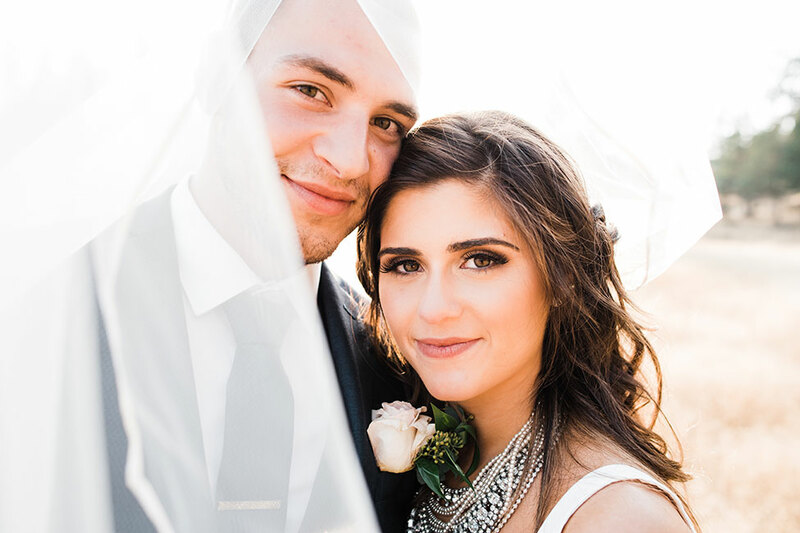 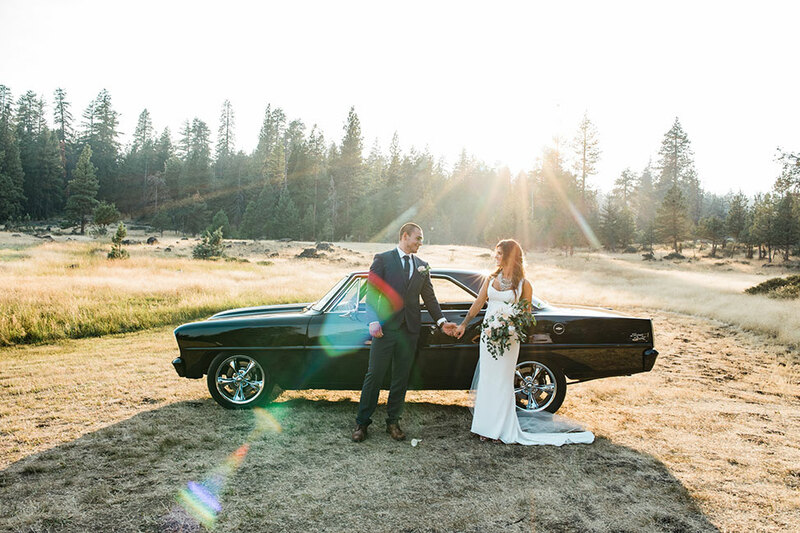 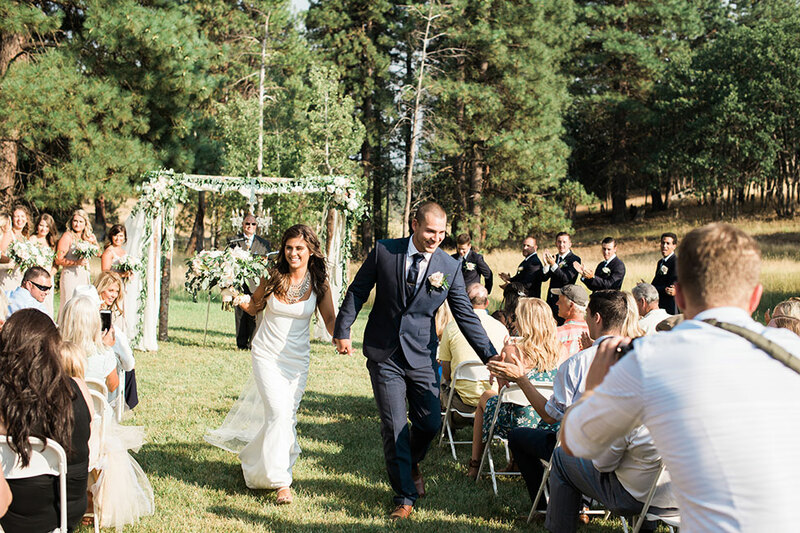 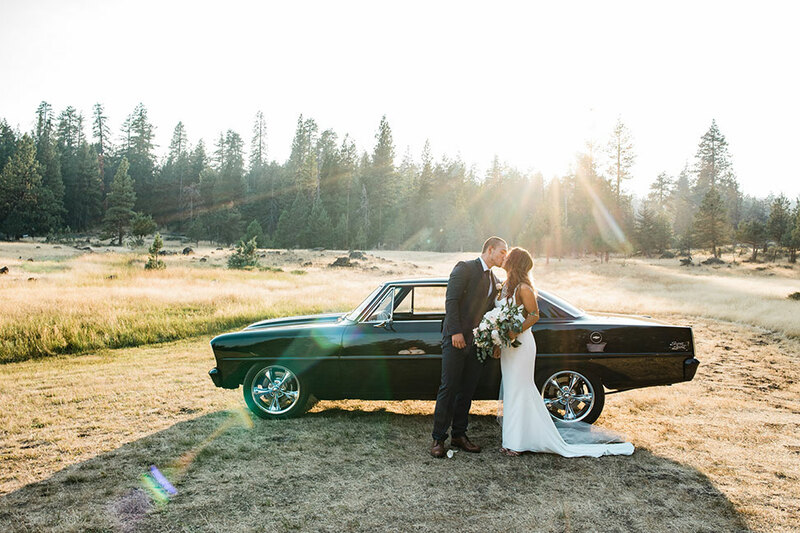 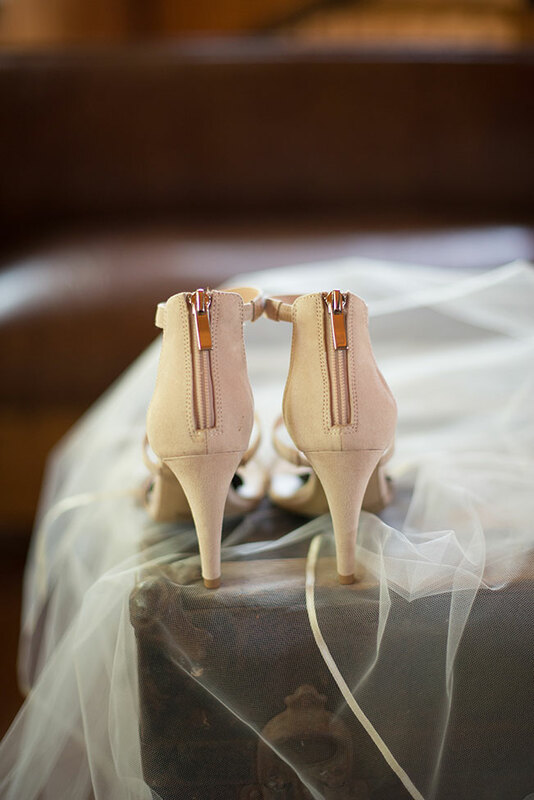 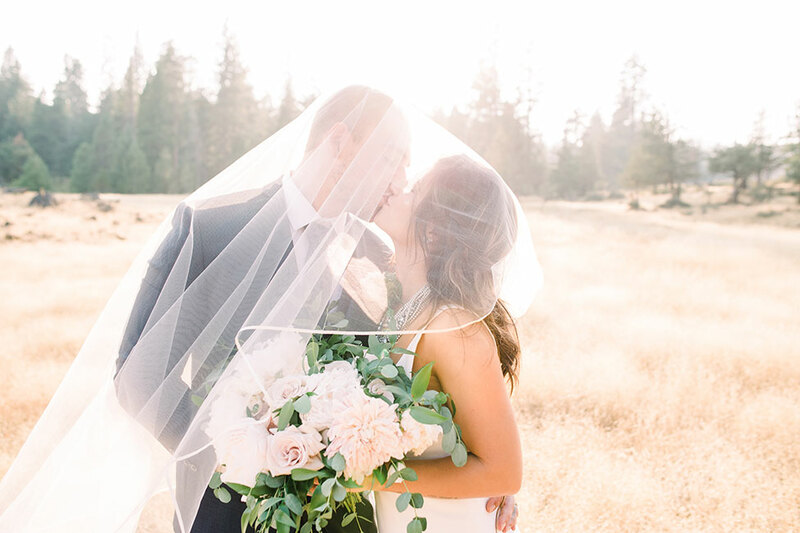 The beauty to Bre and Adam’s wedding is how eloquently they dialed up the elegant romance factor. 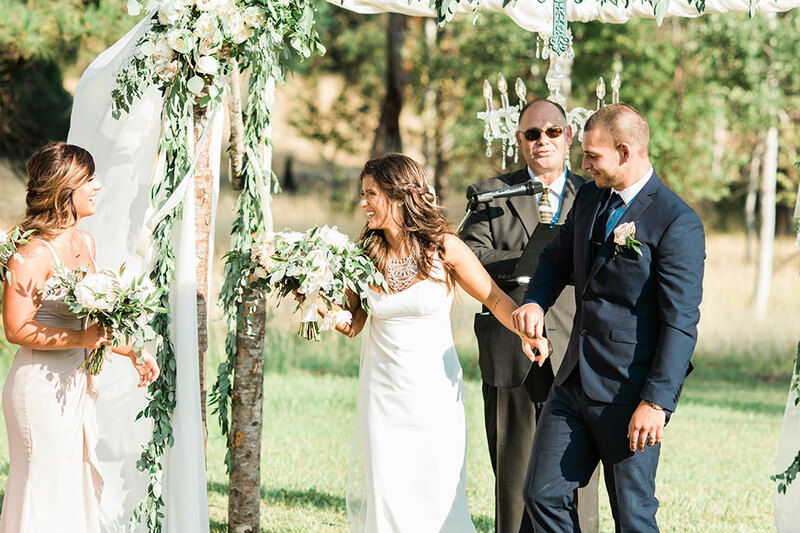 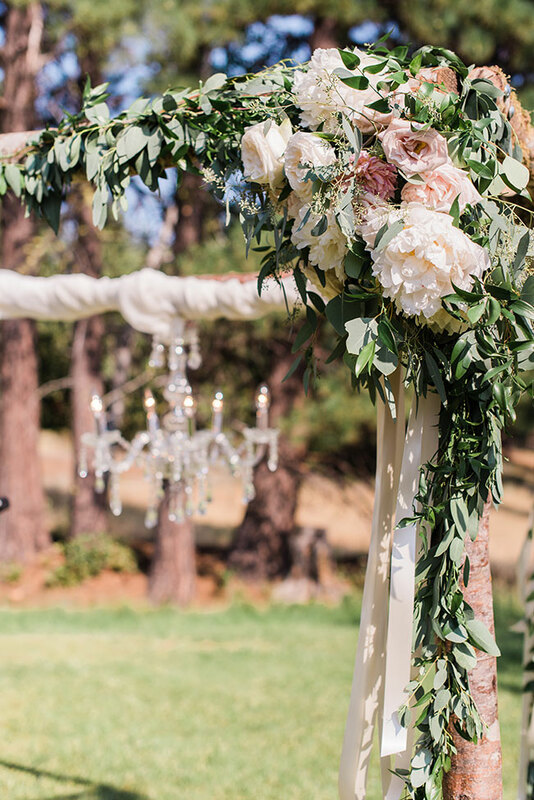 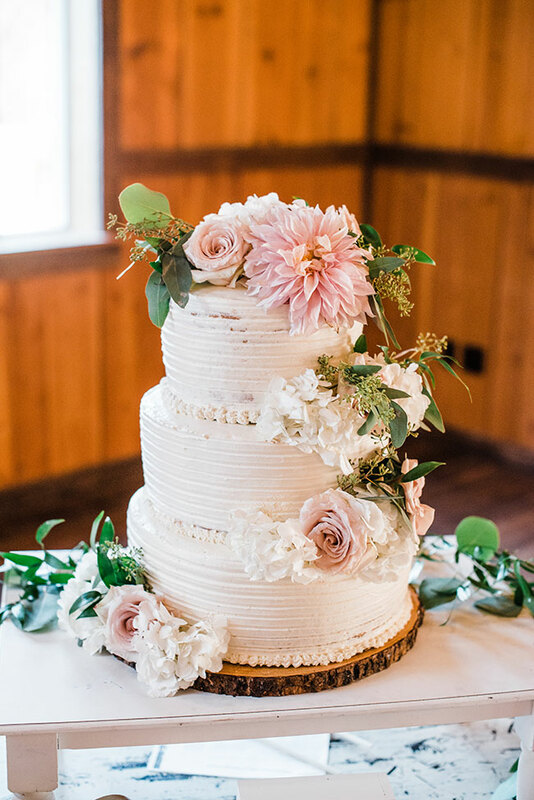 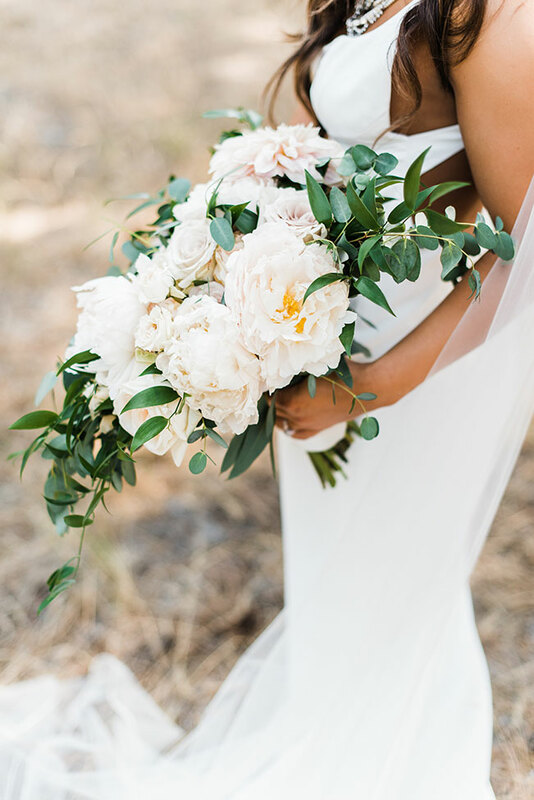 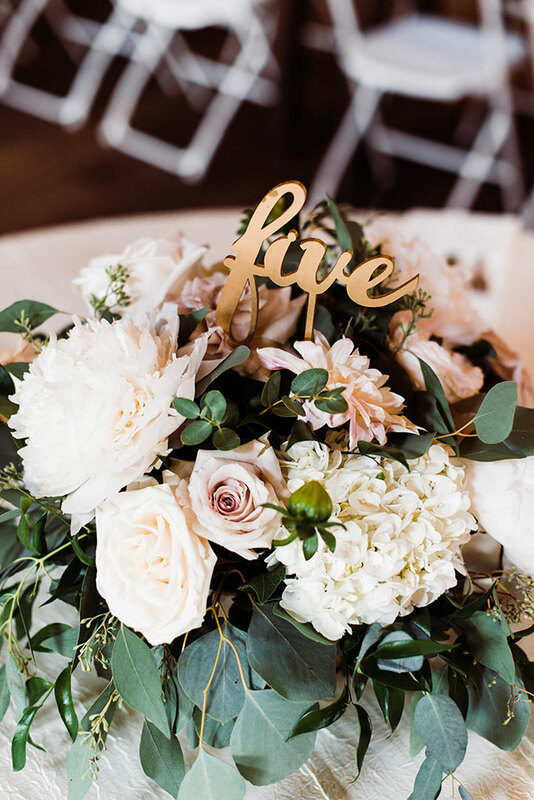 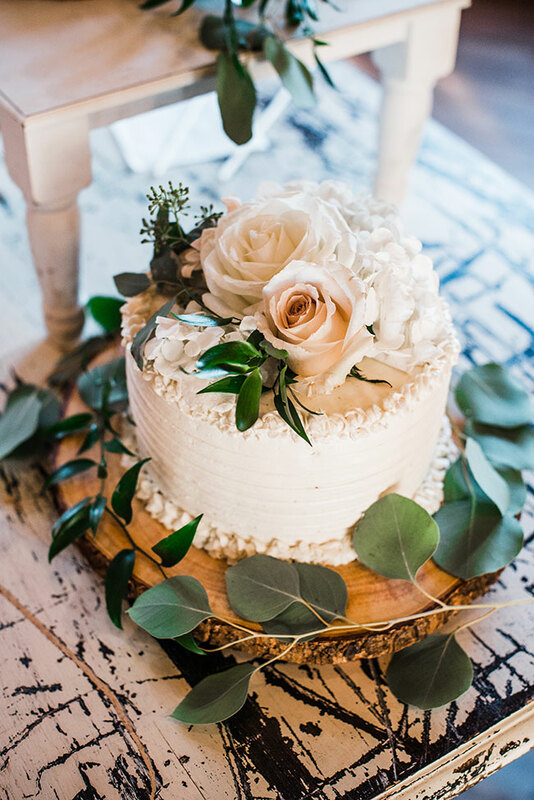 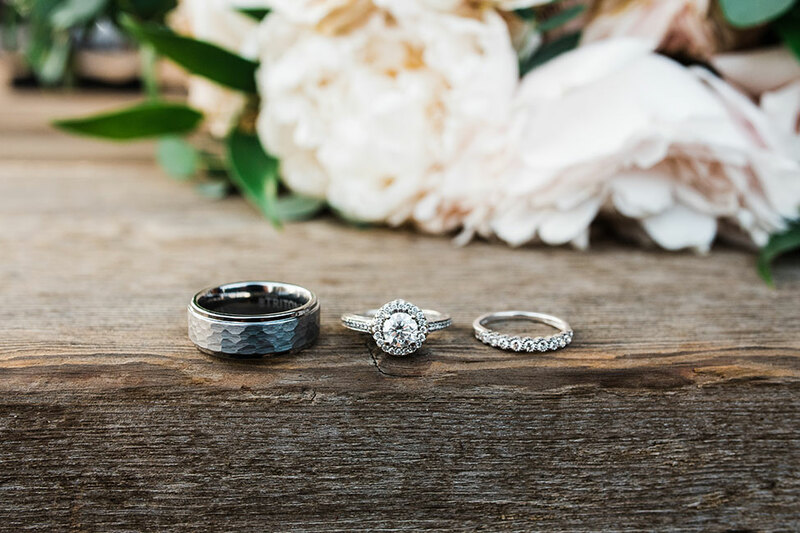 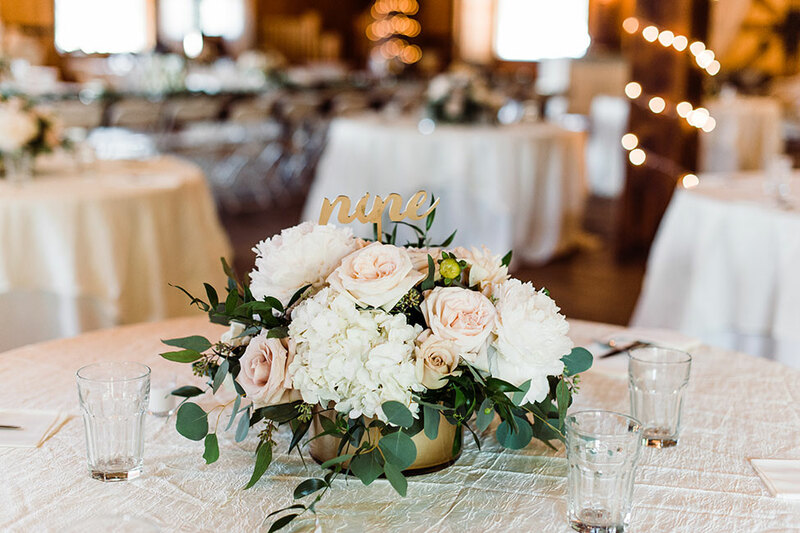 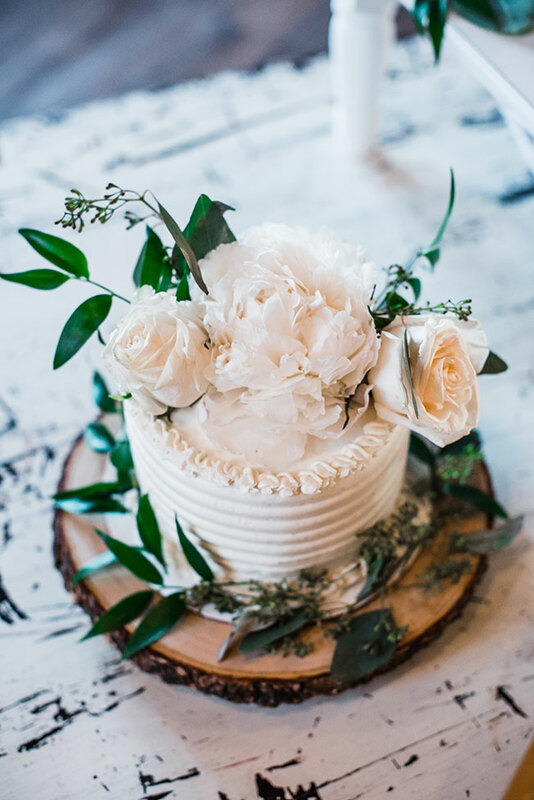 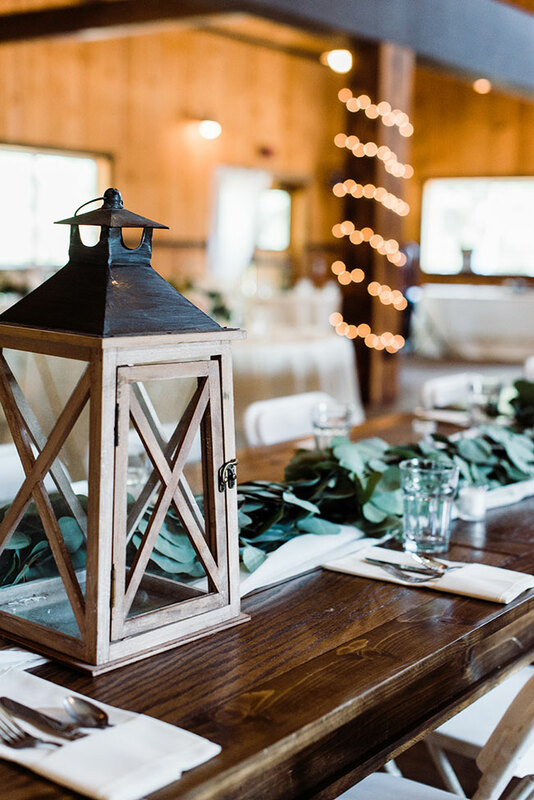 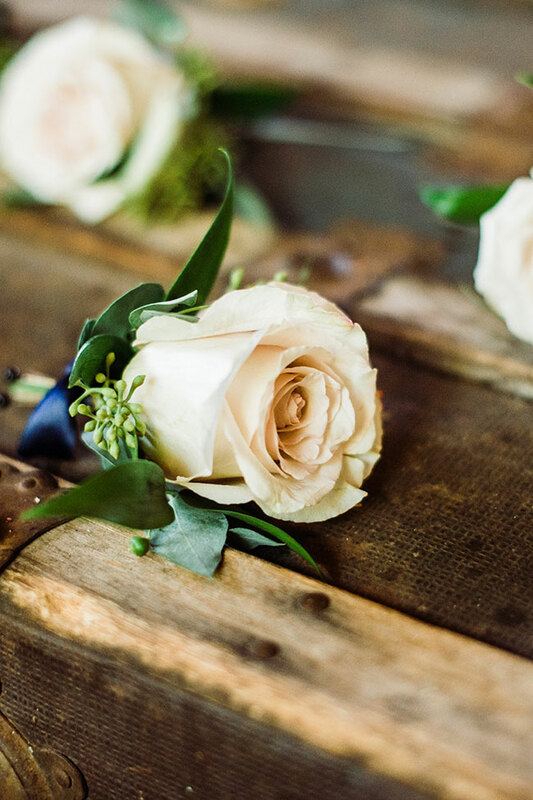 Wedding details like a chandelier swaying ceremony backdrop wrapped in blooms and a barn filled of white, are just a few of the details that make this ranch wedding. 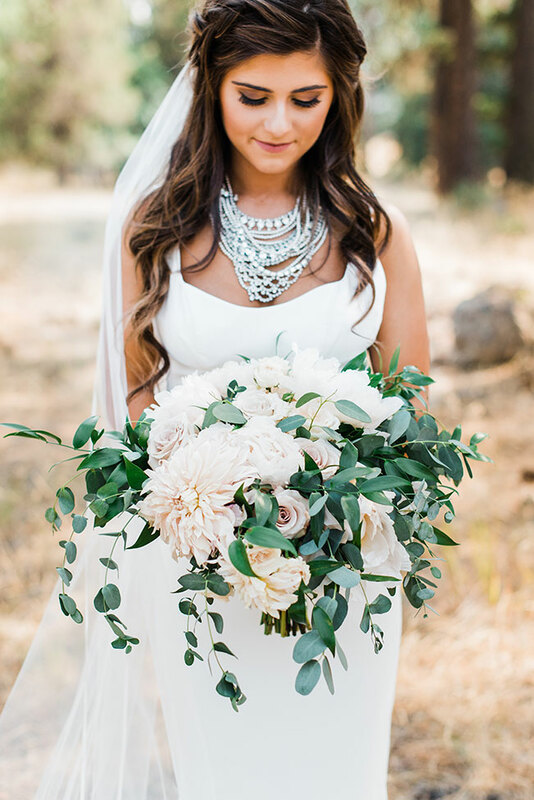 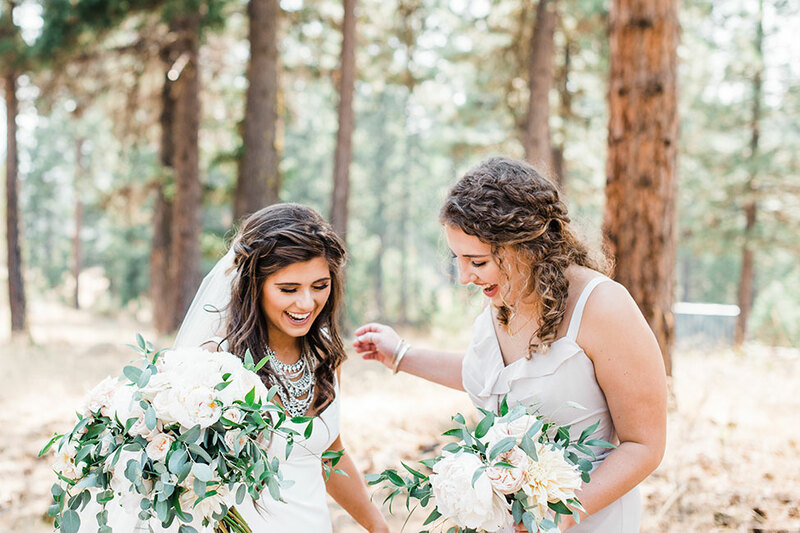 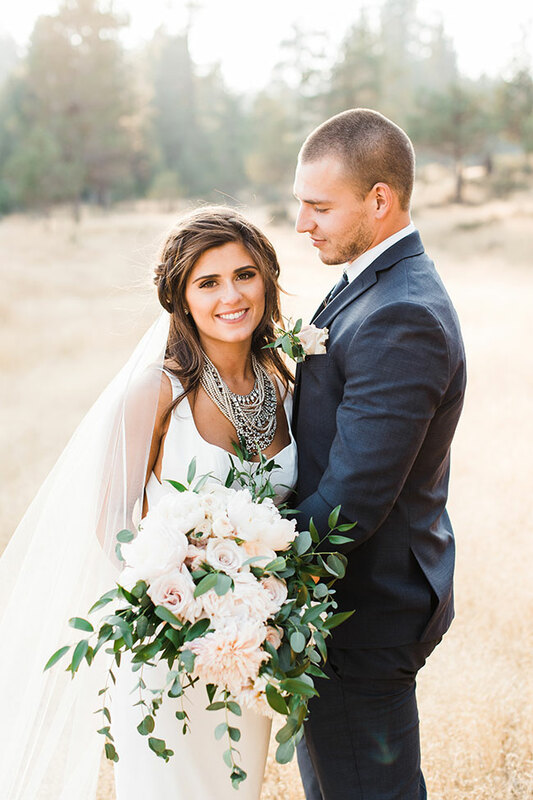 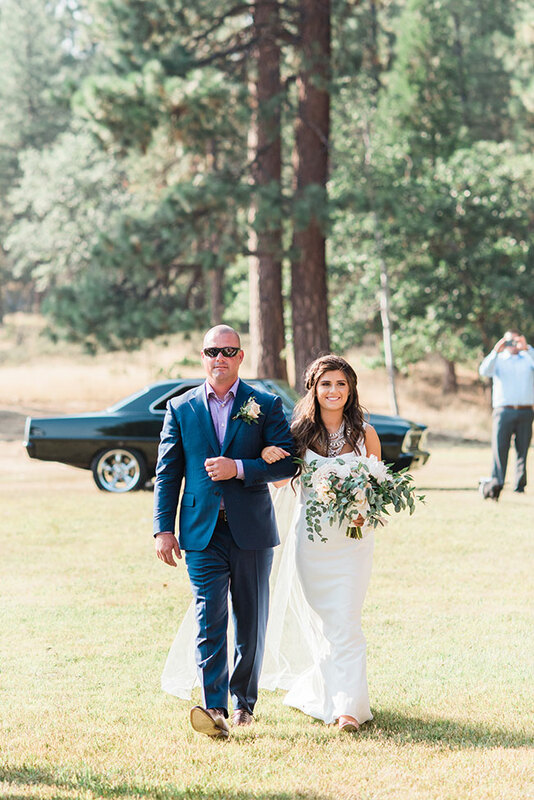 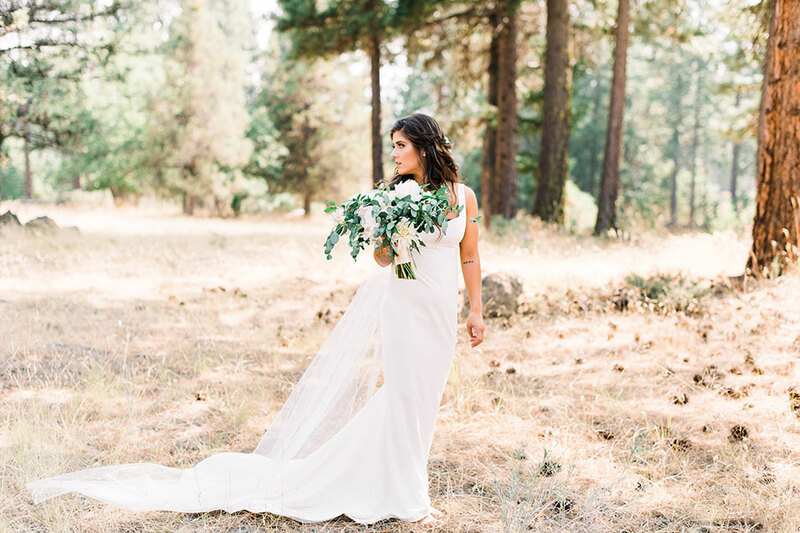 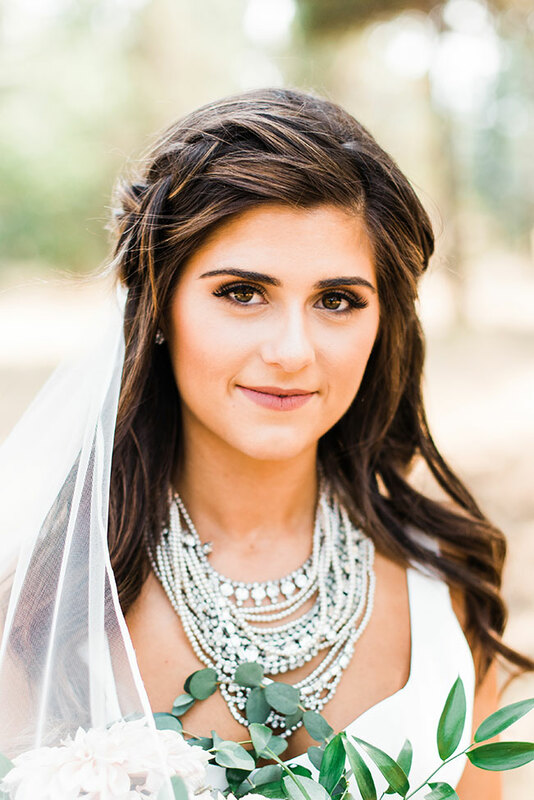 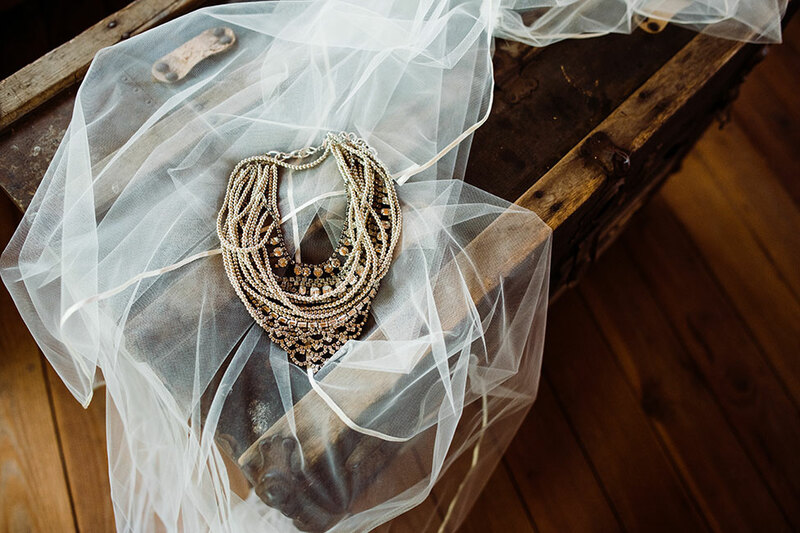 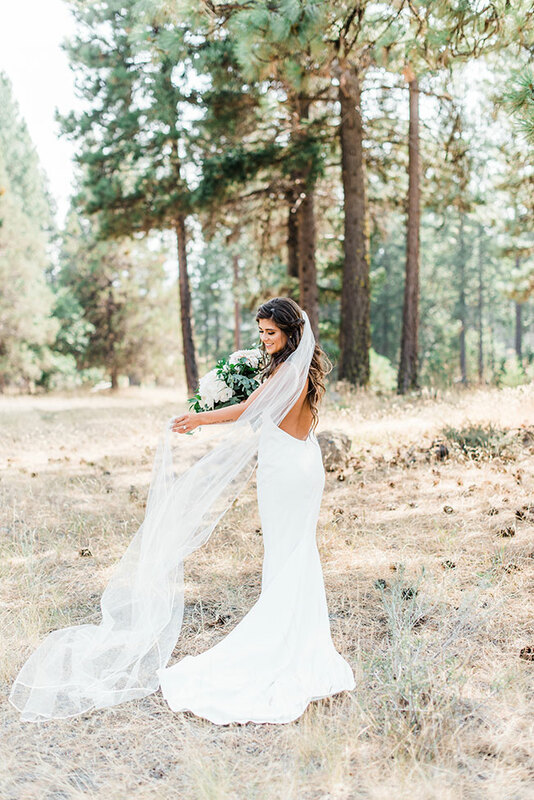 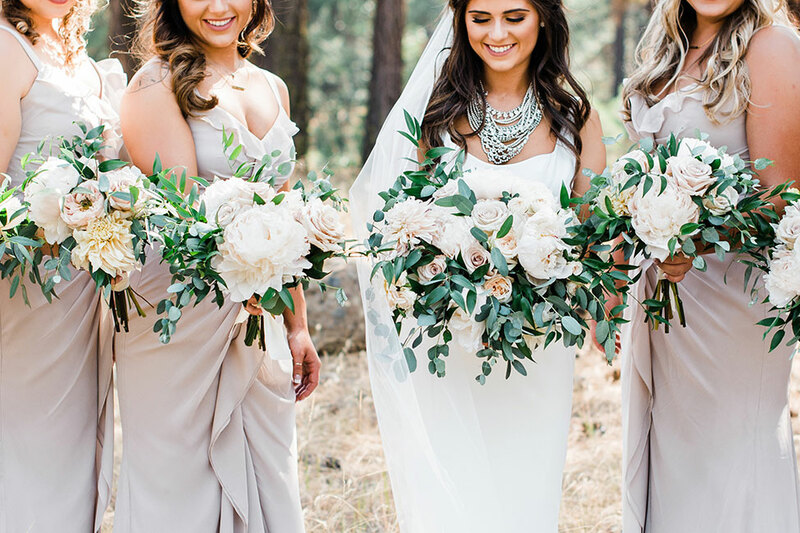 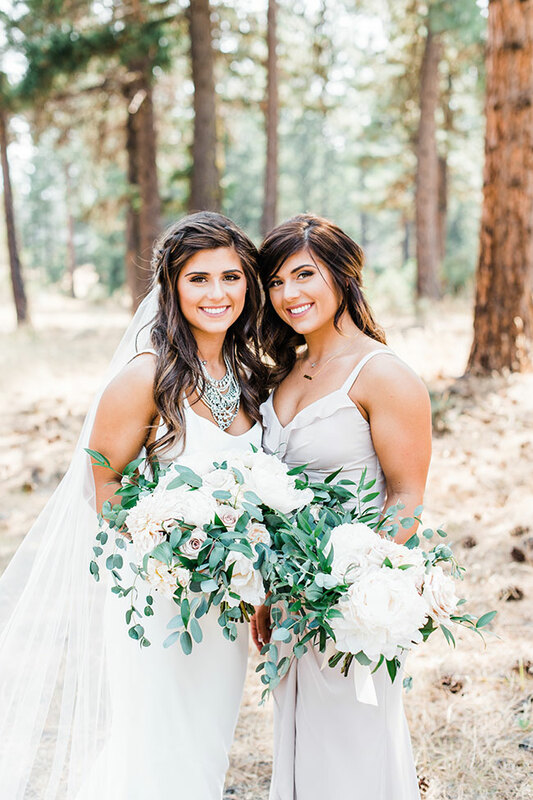 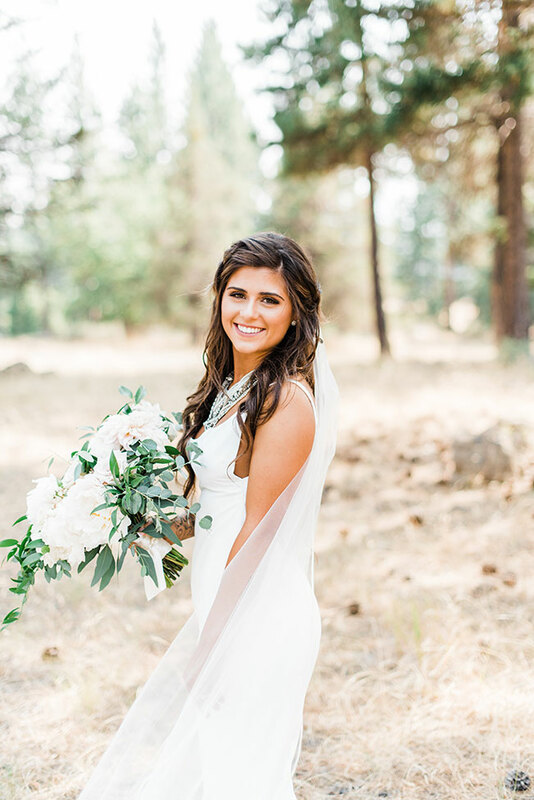 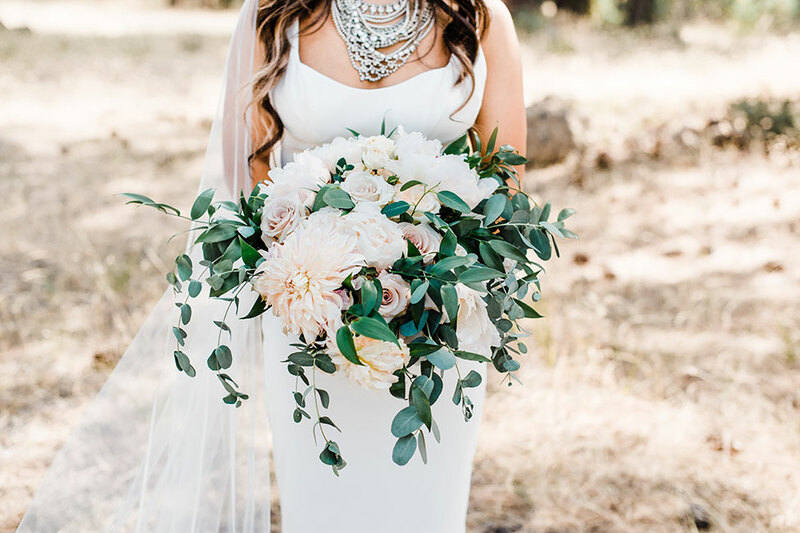 Bringing it all home is Bre’s crush worthy style, featuring a body hugging low back wedding dress, topped with a multi-layer statement necklace that is all kinds of amazing. 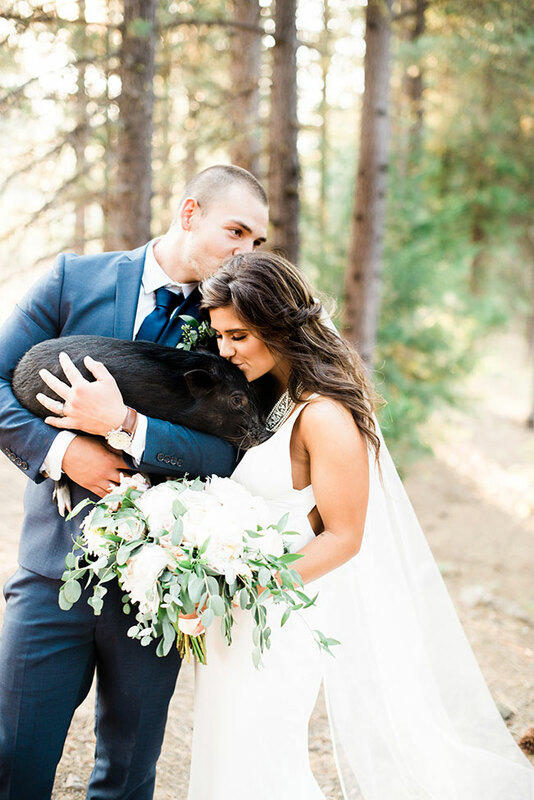 While the ranch wedding as a whole is a treat, its the special little guest star that makes us giggle with delight! 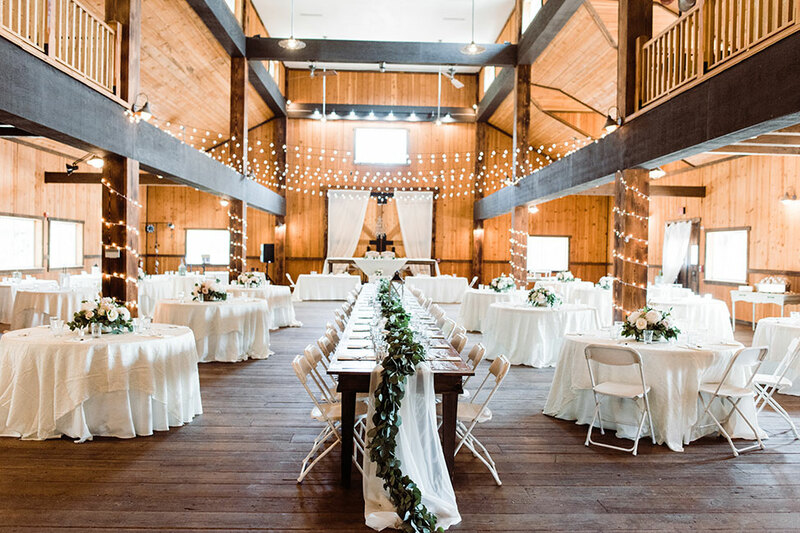 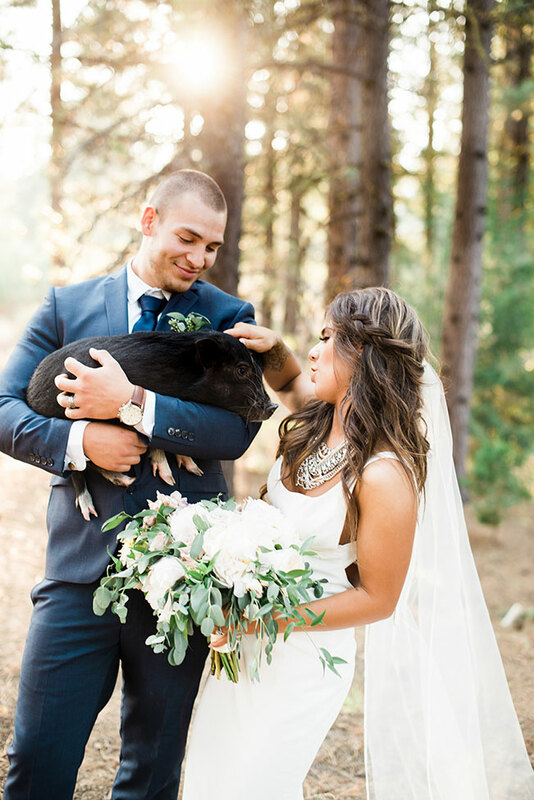 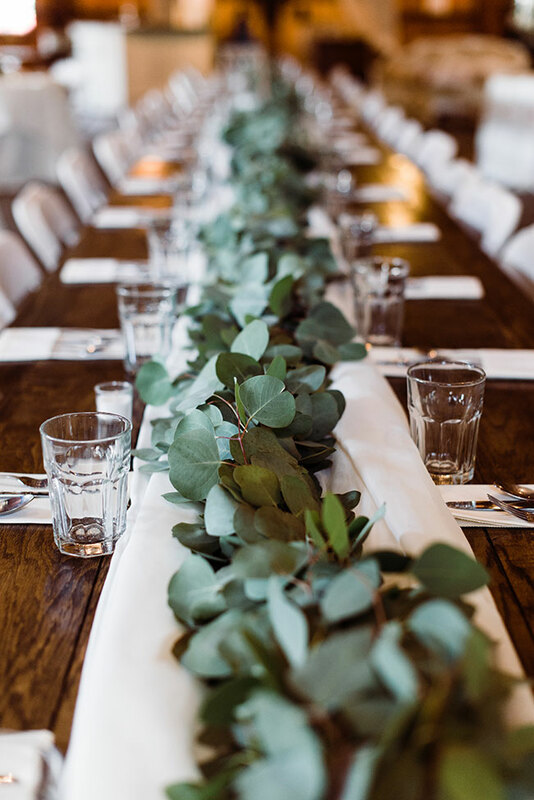 For those seeking a more country affair, we think you’ll want to take notes!